The past 6 months have given me a lot of opportunities to try different kinds of popcorn. Because I literally wrote the book on popcorn this summer, and I was up to my eyeballs in kernels! We’re still about a year out from publication, but all sorts of fun stuff are happening behind the scenes. Now that the grind of writing it the first time around is done, it’s time for the fun stuff. Edits are in process, photographs are being taken, the cover design is happening. It’s all very exciting and completely surreal. It’s totally changed the way I look through a cookbook and given me a whole new perspective on the finished product. Because that’s how I see a cookbook now– as a series of projects leading up to a finished product. Right now I’m seeing all the pieces of my own book start to take shape and come together, but it’s still so hard to imagine a completely finished book with my name on it. In the meantime (while I’m holding my breath and crossing my fingers that the fine folks at my publishing house don’t change their minds and run in the other direction), how about some popcorn?? This recipe is my very favorite from the book. Classic Kettle Corn has always been my very favorite way to eat popcorn, and 75 recipes later– nothing’s changed! I still love the crunchy, crispy, sweet, buttery flavor that Kettle Corn has to offer. It’s so, so easy to make, and about a MILLION times better than the microwave variety you’ll find at the grocery store. You’re going to love this recipe!! Prepare a space for the popcorn to cool on a silicon or parchment liner. You want this to be ready to go, because the popcorn needs to be removed from the pot immediately after popping to prevent burning! Pour the oil into a large, deep pot (with a lid). Heat the oil over medium-high heat on the stove. Place 1 popcorn kernel in the pot with the oil.When the kernel pops, the oil is at the right temperature. Mix in the sugar to the oil. Add the popcorn kernels and cover. Shake the pot (requires a little arm muscle here) back and forth over the heat. Kernels should start popping within two or three minutes. 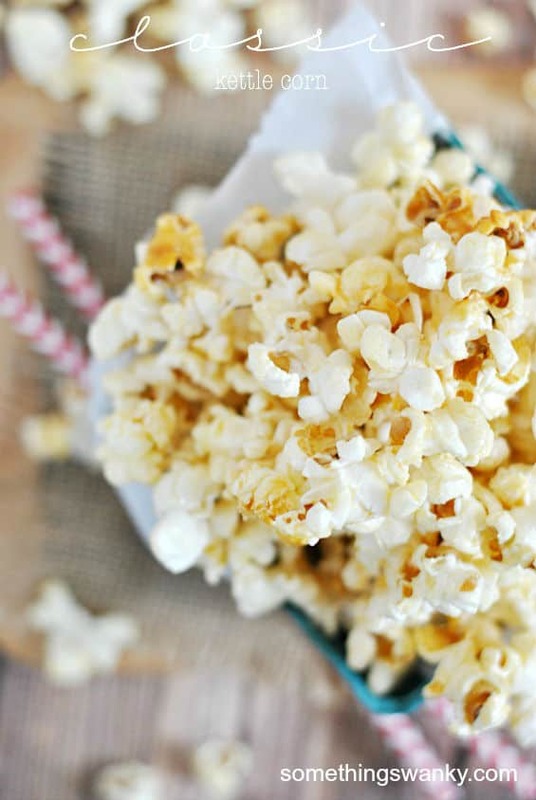 Continue to shake while all of the kernels pop-- it may take up to 10 minutes. Once the popping has stopped, remove from heat immediately, and spread (immediately!) on parchment paper or a silicon liner to let cool slightly and allow the sugar to harden on the kernels a little bit. Drizzle melted butter over top and sprinkle with salt (to taste) while cooling. This popcorn stores really well and will taste fresh for well over a week if you keep it in an airtight container. However, I do not recommend pouring the melted butter on the popcorn if you are not eating it immediately. Check out these other great recipes from me and my friends! 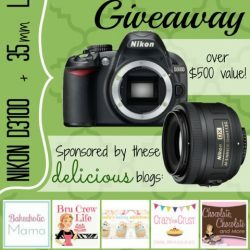 Image URLs: what they are and how to use them in blog design. Congrats on having a pub date! And I can only imagine how much popcorn you made and ate this past year. 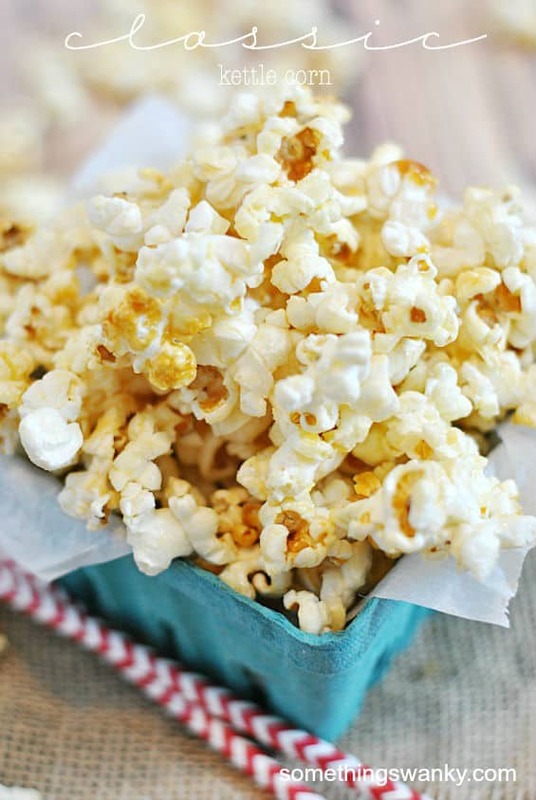 Your house probably smelled a like a movie theater at all times :) I love popcorn tons but I hear you when you’re writing a book on a single topic ingredient! This sounds really good. I love Kettle Corn. Congratulations on your book. That is fantastic!! Can’t wait for the book! We love popcorn so much that we buy it 50 pounds at a time directly from a popcorn plant in southeast Missouri. Can’t wait to make this. In the directions you say to add the sugar and cinnamon but you do not list cinnamon in the ingredients. Can you please clarify? Yum yum! Sorry, the cinnamon was a typo! I’m just now thinking all these things. I actually went and looked through ALL my blogger cookbooks today to see how photos looked. And to see if I am still the only person in the world using salted butter. But that’s another discussion. 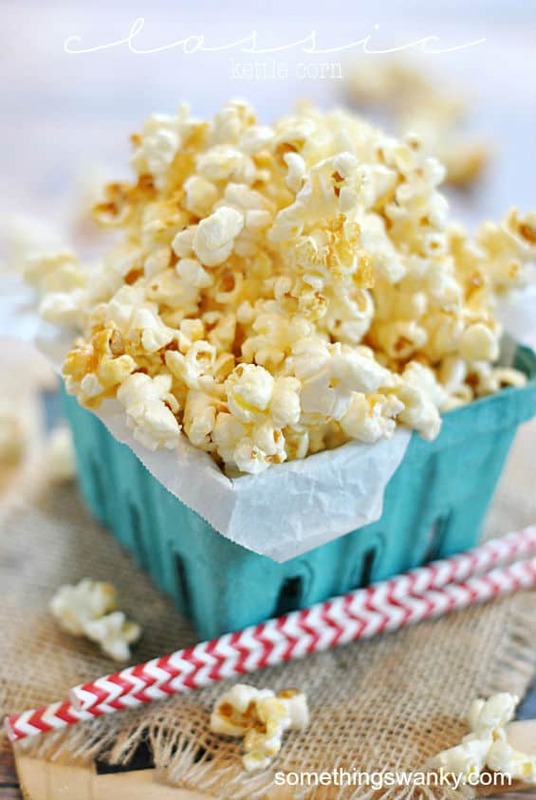 and this kettle corn looks so buttery yet sweet and deeeeelicious. love it. I am in love with popcorn! Seriously I am! I can not wait for your book to come out so I can dig in and make some popcorn!! This recipe set off my fire alarm and ruined my pot. No idea what went wrong but I highly advise against trying it.